The Best Urban blogs from thousands of top Urban blogs in our index using search and social metrics. Data will be refreshed once a week. 2.3 Urban Adventures | City Tours | Best. Day. Ever. 2.81 Jenny Nybro Peterson | Healthy Gardens. Healthy Lives. Urban Farming. 2.109 HOT Urban Gardening Coalition | Planting seeds in the city, deep in the Heart of Texas. Urban newsletter is a comprehensive summary of the day's most important blog posts and news articles from the best Urban websites on the web, and delivered to your email inbox each morning. To subscribe, simply provide us with your email address. Paris About Blog URBACT is a European exchange and learning programme promoting sustainable urban development. The URBACT Blog is a platform for sharing ideas on current urban issues and innovative solutions for cities in Europe and in the world. Facebook fans 9,248. Twitter followers 9,595. The Gulf Coast About Blog Disaster can strike at any time, so if you are unable to move out of the city, you need to know how to survive in the city. Follow this blog to learn about urban survival. Facebook fans 52,787. Twitter followers 2,958. 3. Urban Adventures | City Tours | Best. Day. Ever. Global About Blog Stories about local life, city culture, and urban adventures. Facebook fans 14,368. Twitter followers 6,960. Barcelona/London/World About Blog Urban Travel Blog describes about fresh ideas for city breaks in Europe and the rest of the world. Travel articles focusing on nightlife, trends, culture and eco-tourism authored by expert travel writers, headed up by experienced travel journalist and editor Duncan Rhodes, who report on trends, experiences, festivals and nocturnal adventures in cities around Europe. Facebook fans 5,546. Twitter followers 6,016. About Blog Through original reporting, sharp analysis, and visual storytelling, CityLab informs and inspires the people who are creating the cities of the future—and those who want to live there. Facebook fans 162,277. Twitter followers 163,392. About Blog The latest stories from Next City's Forefront series. Next City is a nonprofit organization with a mission to inspire social, economic and environmental change in cities through journalism and events around the world. Facebook fans 29,096. Twitter followers 96,634. North America About Blog Momentum Magazine is an urban cycling lifestyle publication. Featuring bike and gear reviews, urban cycling tips, bike fashion, cycling news, and more. Facebook fans 27,230. Twitter followers 23,661. Phoenix, Arizona About Blog The Urban Farmer is a comprehensive, hands-on, practical manual to help you learn the techniques and business strategies you need to make a good living growing high-yield, high-value crops right in your own backyard (or someone else’s). Facebook fans 14,168. Twitter followers 3,653. London About Blog Daily coverage of everything new in Urban and Street Art. Facebook fans 265,052. Twitter followers 56,555. San Francisco, CA About Blog Reddit is a community of millions of users engaging in the creation of content and the sharing of conversation across tens of thousands of topics including all about urban. Facebook fans 1,129,895. Twitter followers 496,076.
getfinn.com About Blog Bike Citizens love cycling and urban bike culture. Join us to make your city more liveable with your bike. Become a Bike Citizen for more urban independence. Our urban cycling magazine covers all aspects of cycling culture in cities. Facebook fans 12,914. Twitter followers 2,578. Oakland, CA About Blog Urban agriculture developments and stories in and around California. Facebook fans 4,266. Twitter followers 6,819. Worldwide! About Blog Urban Jungle Bloggers is all about living with plants – in your home, in other interiors, in public spaces. We want to highlight the beauty and benefits of houseplants and other greeneries in urban spaces. Living with plants is not merely about styling and decorating. Houseplants have beneficial effects on our living environment and make our lives better, healthier and more beautiful. Facebook fans 20,824. Twitter followers 4,110. Based in Portsmouth, UK About Blog The Port Towns and Urban Cultures group is dedicated to furthering our understanding of the social and cultural contexts of ports across the globe from the early modern period. It recognizes the importance of ports as liminal places where marine and urban spaces converge, producing a unique site of socio-cultural exchange that reinforced and challenged identities, perceptions and boundaries. Facebook fans 742. Twitter followers 2,159. Facebook fans 26,299. Twitter followers n/a. About Blog AlboPepper is for urban gardeners who enjoy the science of plant growing. Not just what to do, but also WHY we do it. This is gardening for open-minded people who like to learn. It is the place to learn about: • SIPs and Self-Watering Containers • Raised Beds and High Density Gardening • Artificial Lighting for your Seedlings • Composting with Worms and Tumblers • Product Tests & Experiments. About Blog Follow UrbanClap to simplify the complexities of your Urban Life with easy life hacks, pro-tips, how-to and step by step guides. Facebook fans 177,969. Twitter followers 5,692. Orange County, CA About Blog Inspiration and advice for growing fruits and vegetables, raising farm animals and back-to-basics living on farms of all sizes—from city plots to the rural back-40. Facebook fans 482,249. Twitter followers 17,216. San Diego About Blog Learn how to grow anything, no matter where you live.The mission of Epic Gardening is to spread urban agriculture and innovative growing solutions through neighborhoods, cities and towns nationwide. Facebook fans 10,379. Twitter followers 15,308. Berlin, Germany About Blog One of the world's most popular men's lifestyle & hipster travel blogs with stories from around the world — city destinations & cultural experiences. You’ll find gay travel stories, nightlife tips, photos and all-too-personal stories from my travel adventures around the world. Facebook fans 16,649. Twitter followers 37,254. The Countryside About Blog The inside line on the quirky, cool and unmissable in Kent. Everything from eating out and pubs, what's on, beauty, fashion, spas, and travel to country walks, kids, art, education, and culture. Facebook fans 2,337. Twitter followers 9,068. Toronto, Canada About Blog You Grow Girl™ was launched by Gayla Trail in February 2000 and has grown into a thriving project that speaks to a new kind of gardener, seeking to redefine the modern world relationship to plants. This contemporary, laid-back approach to organic gardening places equal importance on environmentalism, style, affordability, art, and humour. Facebook fans 82,196. Twitter followers 17,474. About Blog Copenhagenize Design Co. - Leading Bicycle Urbanism design firm and consultancy specialising in bicycle culture, infrastructure, planning, policy and communications. Facebook fans 27,065. Twitter followers 32,900. Pasadena, CA About Blog This highly productive city farm is widely considered a successful one-of-a-kind model for sustainable agriculture and eco living in urban areas. Facebook fans 57,762. Twitter followers 6,816. Facebook fans 13,120. Twitter followers 2,159. NYC About Blog We The Urban’s issue-based magazine and daily web features aim to capture and shine a light on multicultural vanguard creatives who push boundaries in fashion, art, music, and various other respective creative fields. Facebook fans 52,202. Twitter followers 6,306. Berlin About Blog Urban Spree is a 1700 sqm artistic space in Berlin-Friedrichshain dedicated to urban cultures through exhibitions, artist residencies, DIY workshops, concerts, an art store and a large Biergarten. Facebook fans 34,095. Twitter followers 1,737. About Blog Cyclechic’s mission is to promote cycling as a desirable lifestyle choice and encourage more women to take to two wheels. We aim to provide urban cyclists with the best range of stylish yet practical cycling accessories and The Cyclechic Blog offers tips, advice and style inspiration. Facebook fans 2,711. Twitter followers n/a. About Blog URBAN HUB is an interactive platform for people working on the future of cities and mobility. We collect personal stories about urban landmarks and future ideas for the sustainable development of cities worldwide. Facebook fans 5,732. Twitter followers n/a. London, United Kingdom About Blog We are Blaze and we create innovative products for urban cyclists with technology and design at the core. To start with, we reimagined the bike light. Facebook fans 5,344. Twitter followers 5,100. London About Blog GraffitiStreet is a brand new urban art store selling limited edition screen prints and original artwork from the world's best graffiti and street artists. Facebook fans 28,827. Twitter followers 1,137. Worldwide About Blog The Urban Gentleman is a guide to men's fashion, style, and grooming. Covering everything from the best dressed men in Hollywood to how to tie a tie. Features complete guides on wardrobe basics, how to prepare and shop for formal events, and much more. Facebook fans 18,650. Twitter followers 14,256. Los Angeles About Blog Modern Chic Magazine is an online magazine for the women of today! We cover fashion, beauty, entertainment, life & advice and more. We want to create a cyberspace where women can come and enjoy the wonderful articles we provide. Facebook fans 892. Twitter followers 3,260. About Blog Tape art and street art portfolio of urban artist Ostap and his crew. Facebook fans 3,073. Twitter followers 195. Phoenix, Arizona About Blog Welcome to The Urban Farm. Growing gardeners into farmers the easy way. Urban farming, backyard farming, balcony farming, permaculture and more. With stories, how-to's, and helpful articles focusing on inspiration and education for urban farmers and gardeners! Facebook fans 11,675. Twitter followers 3,662. About Blog FYXO is a retro cycling company that is inspired by the urban cycling lifestlyle, custom bikes, good photography and quality cycling clothes. Facebook fans 9,614. Twitter followers 5,021. Facebook fans 2,924. Twitter followers 3,972. Washington, D.C. About Blog The Urban Vertical Farming Project is the first site providing you with real data about urban vertical farming. Through case studies, exclusive interviews, financial insight, and how-to posts, we are sharing for free what most people would charge by the minute for. Facebook fans n/a. Twitter followers 4,087. Brooklyn, NY About Blog Vandalog focus on coverage of street art, graffiti, and viral art that you won’t get anywhere else. Stories on Vandalog are analytical, opinionated, investigative, exclusive, under-reported, and sometimes a bit overly-intellectual. Facebook fans 42,456. Twitter followers 7,929. Boston area About Blog The Green City Growers Urban Farming Blog is your source for information and news relevant to the urban farming movement in Boston and beyond!. We install and maintain urban farms & vegetable gardens in Boston while teaching clients how to grow food using their own backyards or rooftops. Facebook fans 3,285. Twitter followers 2,935. About Blog Hello! I am Marie Viljoen, a writer, forager and gardener. 66 Square Feet was the exact footprint of my first, tiny terrace in Cobble Hill, Brooklyn - above. That garden, the meals I made there - outside on the fire, or inside in the even tinier kitchen, inspired this blog and my subsequent cookbook, 66 Square Feet - A Delicious Life. Even the New York Times wrote about it. Facebook fans 3,624. Twitter followers n/a. San Francisco, CA About Blog 1AM, short for First Amendment, represents the freedom of speech through our urban art exhibitions, public murals, and experiences. Our mission is to progress the graffiti and street art culture by creating a cultural space and community of artists, fans, and like minded organizations. Facebook fans 15,981. Twitter followers 6,366. London About Blog Urban Pixxels is all about travel inspiration and information for the traveler who wants to explore the most interesting destinations in the world; prefers design boutique hotels over hostels; likes travel photos and videos more than reading about it; is always looking for the hidden gems; and believes that exploring the local food culture is just as important as sightseeing. Facebook fans 975. Twitter followers 1,956. New York Worldwide About Blog Nomadness Travel Tribe is the top urban travel community for diverse millenials. There is no place in the world, where we aren't. Join the cool kids of the new age travel movement. Facebook fans 54,663. Twitter followers 13,836. About Blog News, photos, rants, ramblings and half-realized witticisms from the peloton and the urban bike commute. Facebook fans 186. Twitter followers 192. Somewhere on a bicycle About Blog The Urban Country's mission is simple. We publish 2-3 quality articles per week to advocate for using bicycles as transportation in North America to improve our cities, our people, and the world. Facebook fans 2,127. Twitter followers 2,249. Worldwide About Blog The best gardening blog for urban DIY projects. Meet our expert bloggers! They provide you with a vast reservoir of guidance, tips and "how to"! Facebook fans 9,531. Twitter followers 50,303. About Blog Our urban cycling blog covers security, gear, bike share, trends and lots more. Discover smarter ways to bike in the city. Northern Southern California About Blog Learn about new trends in urban farming, sustainable development, agricultural communities, low water landscaping and production growing. Facebook fans 2,757. Twitter followers 1,620. Los Angeles, CA About Blog "Late Bloomer" is an urban gardening web show and blog with host Kaye Kittrell documenting her growth as a food grower with visits to others' gardens for inspiration. Facebook fans 4,434. Twitter followers 407.
btwn Oxford & Cambridge About Blog The Blog on Structured Procrastination on Cities, Demography, Transport Policy and Spatial Analysis by Rafael H M Pereira, A PHD student. Facebook fans 2,444. Twitter followers 5,152. About Blog Your source for urban bike culture in NYC and beyond. Facebook fans 237. Twitter followers 7,426. Washington, DC About Blog City Parks Blog is a joint effort of the Center for City Park Excellence at the Trust for Public Land and the City Parks Alliance to chronicle the news and issues of the urban park movement. Facebook fans n/a. Twitter followers 881. Euless, Texas About Blog Your resource for news and information on vertical farming, greenhouse grown vegetables and urban agriculture. Facebook fans 3,145. Twitter followers 7,314. Urbanity and beyond About Blog The Urban History Association was founded in Cincinnati in 1988 for the purpose of stimulating interest and forwarding research and study in the history of the city in all periods and geographical areas. It is affiliated with the International Planning History Society. Zürich About Blog GOrilla urban cycling is a Swiss-based frame company. GOrilla urban cycling designs and builds steel frames and complete bikes with innovated setups and comfortable drive systems for the urban bicycle rider. Facebook fans 1,128. Twitter followers 46. Edinburgh, Scotland About Blog Urban Kultur Blog is an Award-winning Edingurgh based dedicated to street art, dance music & alternative culture blog. Facebook fans 1,607. Twitter followers 654. Pasig City About Blog Grow your own herbs and vegetables at home. So I started my own blog so I could share my urban gardening journey with fellow enthusiasts, most especially those living in hot and humid climate zones. Lafayette, CA About Blog All about sustainable food to help the people and the planet. We are a grassroots, all-volunteer, non-profit organization in the East Bay of San Francisco. It is our goal to deliver solutions that address the needs of the people and the planet we inhabit. We harvest excess backyard fruit for the needy. Facebook fans 1,430. Twitter followers 259. About Blog A child of back-to-the-land hippies, I grew up in Idaho and Washington State. I went to University of Washington in Seattle where I majored in Biology and English.Most recently, University professor at the University of San Francisco, where I teach classes about urban farming and writing. My urban farm, Ghosttown Farm, currently hosts bees, chickens, and 36 fruit trees. About Blog Welcome to our blog! We are a group of postgraduate students studying Urban Design at Newcastle University with backgrounds consisting of Architecture, Urban Planning and Landscape. We are a diverse cohort coming from India, China, Malaysia, Turkey and England, and we are going to share a variety of elements of urban design. Facebook fans 113,352. Twitter followers 28,816. Facebook fans 37,596. Twitter followers 7,604. Calgary, Alberta, Canada About Blog A strategic alliance of Urban/SPIN farmers and entrepreneurial food growers in Calgary sharing knowledge & building an infrastructure so all can thrive. Facebook fans 5,317. Twitter followers 1,491. Fort Saskatchewan Zone 3a About Blog We hope to promote organic gardening that is simple, sustainable and does not have to cost a lot. We do this by investigating the Science behind gardening, methods, practices and products to make sure that you will have the best chance of successfully growing your own food at home. Facebook fans 2,207. Twitter followers 238. San Francisco, North America About Blog Urban Life Signs blog about urban planning, transportation, maps, and life in a city. Berlin, Germany About Blog The Global Urban History Blog is run by a group of historians who share an interest in both global and urban history. Facebook fans 1,111. Twitter followers 1,727. Vancouver, Coast Salish Terr. About Blog The Vancouver Urban Farming Society is a non-profit organization dedicated to increasing the sustainability of urban farming in Vancouver and throughout BC. Facebook fans 2,575. Twitter followers 976. About Blog TheRurBan Village provides the best places to visit, service for eco tourism, rural tourism places, adventure sports and offer best picnic spots tour near Delhi for family & friends. Facebook fans 112. Twitter followers 1. About Blog urbanculturalstudies is an interdisciplinary, multi-authored blog dedicated to the culture(s) of cities…space, time and urban everyday life the world over. About Blog A blog about urban culture, creative people and places in Paris! Facebook fans 13,036. Twitter followers 762. Victoria About Blog Concrete Garden is a semi-annual print magazine about sustainable urban agriculture based in Victoria, B.C. We feature compelling stories on our food system, local businesses, Indigenous food practices and food sovereignty, green architecture, and global ecological issues from a local perspective. Facebook fans 969. Twitter followers 626. Worldwide About Blog International journal and weblog dedicated to social spaces of all kinds. The key goal of Space and Culture, India is to ‘Share, Learn and Amend’. Therefore, the journal aims to provide a burly dais for debates, discussion on development issues, social change, and challenges specific to India. Facebook fans 476. Twitter followers 34. Park Slope Forever About Blog Streetsy is a place where people in the street-art and graffiti world post pictures and videos. Artists post their recent work, and fans post stuff they’ve seen and liked and want to share with others. The site is run by Jake Dobkin, a graffiti photographer. Facebook fans n/a. Twitter followers 6,217. 81. Jenny Nybro Peterson | Healthy Gardens. Healthy Lives. Urban Farming. Austin, Texas About Blog Jenny brings a deep understanding of the ecosystems that promote a vibrant garden: healthy soil, integrated pest management, appropriate plant choices and organic methods. She is committed to using primarily native and adapted plants to conserve water and reflect the beautiful Texas landscape. Facebook fans 2,920. Twitter followers 6,342. Stockholm, Sweden About Blog The everyday life & surprises of living an urban existence. Facebook fans n/a. Twitter followers 974. Australia About Blog Organic gardening and urban farming education, mentoring, planning and design services for organic gardeners and urban farmers. Facebook fans 804. Twitter followers 1,285. UK About Blog Looking for inspiration to get creative with food? The URBAN eat blog has you covered. Stay up to date with food art and updates to our on the go meals. Facebook fans 58,136. Twitter followers 4,680. About Blog Over the Fence Urban Farm Blog is all about the urban farming. global About Blog Traveling Circus of Urbanism is a platform for other urban narratives that are collected from the world through travel. This is an exploration of various urban practices with a global perspective. Facebook fans 74. Twitter followers 36. Oklahoma City About Blog CommonWealth's mission is to grow food, equip a network of urban gardeners, create local jobs, turn local waste into compost, and connect OKC neighbors in the process. Facebook fans 1,128. Twitter followers 169. Facebook fans 198. Twitter followers 137. Boston, MA About Blog Urban Culture Institute promotes excellence in culture, planning and strategies for the public realm. New York City About Blog Urbanfoodguy aka Mark Owen – Self-taught cook with an environmental/political bent. 28 years of cooking experience. I live in Manhattan on the Lower East Side in an apartment with an amazing kitchen thanks to my husband of 27 years, Neil. In the last 4 years I have focused more and more on food. Facebook fans 857. Twitter followers 119. Helsinki About Blog Welcome to From Rurban to Urban – a blog about the past, present and future of Finnish cities and urban life. This blog is my personal attempt to draw attention to the urban environment in Finland authored by Timo Hämäläinen. He is an Urban Planning Enthusiast who travels a lot. Houston, TX About Blog Small Places LLC strives to be the leader in Houston urban agriculture by integrating strong business principles, innovative organic food production, community collaboration, and healthy living. Facebook fans 1,992. Twitter followers 243. Austin, TX About Blog My name is Pratik Mhatre. I have a Ph.D. in Urban and Regional Science program from Texas A&M University, College Station. Through this blog, I hope to engage in discussion on trends in urban planning and design. I will also pen down my personal thoughts and opinions. Berlin, Germany About Blog UrbanRail.Net is your gateway to any information related to metros, subways, trams and light rail or similar urban rail transit systems around the world. UrbanRail.Net gives you a general overview of each city's metro system and links you to other relevant sites. Facebook fans 888. Twitter followers 423. About Blog Hashtag Urbanism is a city blog that aims to create and curate all content that can be tagged with the #urbanism. Through our posts, we aim to highlight how one encounters design and architecture in simple ways in a city and its potential in transforming our perceptions of the place. Based in Chennai, Hashtag Urbanism is also a chronicler of all stories that make this beautiful city what it is. Facebook fans 2,513. Twitter followers n/a. Germany About Blog The Blog about Street Style,Street Fashion and Urban Clothing. Nashville, TN About Blog An urban lifestyle, travel and photography blog by Zaakirah Nayyar. Facebook fans 1,811. Twitter followers 6,053. About Blog Aloha Urban Farming offers the hydroponic Vertical Garden and Solar Garden which save water and grow healthy food, tomatoes for sustainability. New York About Blog Welcome to Patricia Youngquist, The Last Leaf Gardener's blog. I'm an author, artist, and urban gardener living in NYC. My book, "Words In Our Beak Volume One," set in my rooftop garden is now in softcover format! It's a story told by Cam, the female cardinal, pictured above. Facebook fans 502. Twitter followers 135. About Blog All Gardening Tips Including Indoor & Outdoor Gardening For Beginners & Professionals. Explore ACE Gardener Blog for urban gardening tips and ideasabout growing your own food with limited space. Facebook fans 159. Twitter followers 4. UK About Blog By promoting urban agriculture events across Australia, Sustain aims to showcase the range, richness and diversity of urban agriculture practices. The nationwide Sustainable Living Festival is this year being held between February 4-28. The month long Festival attracts over 120,000 visitors and is the biggest sustainable living festival in the southern hemisphere. Facebook fans 2,473. Twitter followers 22,701. Facebook fans 108,291. Twitter followers 23,235. About Blog The family at Little City Farm is an urban homesteading family of four trying to live simply and sustainably in a mid-sized city in southwestern Ontario. They have been living on 1/3 acre city homestead for 15 years, using the principles of permaculture as their guide, while trying to minimize their impact on the environment. About Blog Fashbox is about fashionable living from an urban contemporary culture point of view, which I guess stems from hop hip culture. This means I’m going to cover many different areas (as you can see from the above menu) giving a honest opinion and not just a glossy one, which other culture vulture blogs do. About Blog Urban Garden Guru Blog is about Urban Agriculture in the Heartland authored by Urban Agriculture Program Coordinator John Porter. Facebook fans 1,003. Twitter followers 637. Phoenix, Arizona About Blog Welcome to our adventures in urban farming in NYC! What began as an experiment with growing a few veggies in the Bronx has become a great success for our Bridge clients and community. This is an online record of our experiences on the farm, written by Stacey Van Rossum, with photos taken by Natalie Brickajlik, the Coordinator of our Horticulture Program. Facebook fans 1,777. Twitter followers 3,599. About Blog Urban living blog about city life with kids, urban neighborhoods in Indianapolis, and research and statistics about the city versus the suburbs. Vancouver About Blog Peter Ladner is a public speaker, author of The Urban Food Revolution and Fellow at the SFU Centre for Dialogue. Peter is a frequent speaker on food issues, urban farming and urban agriculture. In the past he has given hundreds of talks to business, community, academic and professional organizations and in the media. He has a lifelong interest in urban farming in his own gardens. Facebook fans 156. Twitter followers 4,032. 109. HOT Urban Gardening Coalition | Planting seeds in the city, deep in the Heart of Texas. About Blog The mission of the Urban Gardening Coalition is to strengthen local food production, improve access to healthy food, and empower folks to grow their own. Facebook fans 1,337. Twitter followers n/a. Somerville, MA About Blog City of Somerville, MA Urban Agriculture Initiative Blog. About Blog Investigating art and politics in urban space. About Blog A blog about sidewalks and manhole covers from around the world advocacy for more walkable communities. CONGRATULATIONS to every blogger that has made this Top Urban Blogs list! 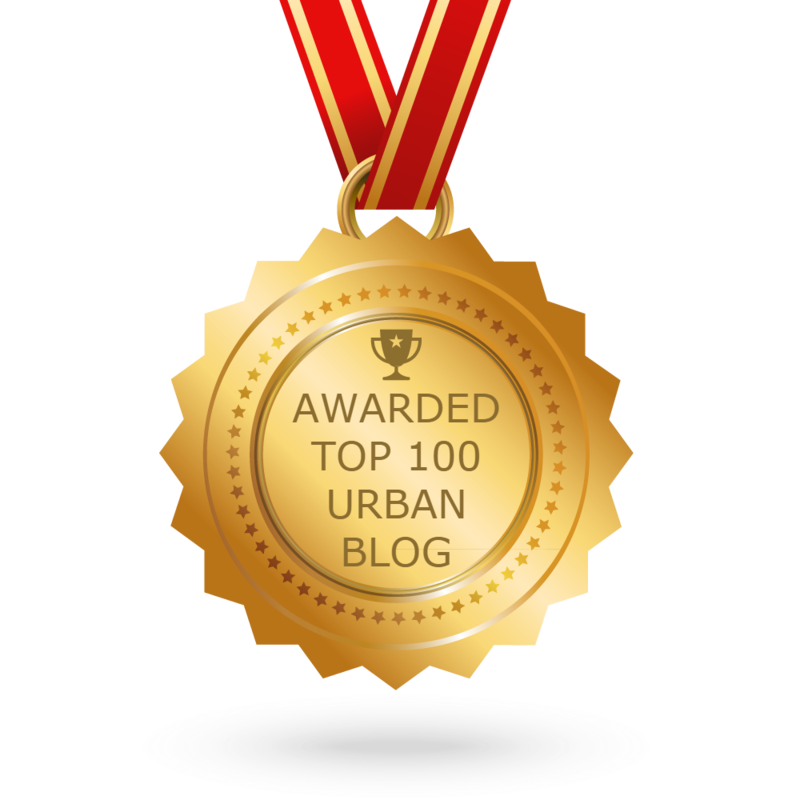 This is the most comprehensive list of best Urban blogs on the internet and I’m honoured to have you as part of this! I personally give you a high-five and want to thank you for your contribution to this world.